One of the best things about digital marketing is that you can measure everything you can possibly think of with very detailed metrics. Page views, number of clicks, on–page conversions, open rates, emails sent… the list goes on and on. But how do you choose the right KPIs to focus on for your manufacturing business? The answer to this questions is – it depends on your business goals, your company’s stage of growth and your business model. However, there are some fundamental metrics that all manufacturing companies should be measuring to in order to prove digital marketing success and it’s impact on your bottom line. The first is traffic to your website. This is an obvious one. You need to track your overall website traffic compared to that of previous periods. As manufacturing tends to have seasonal booms and slumps it’s good to set annual targets and measure performance towards the annual target. This lets you know at a very high level whether or not your digital marketing campaigns are having any effect. It is the key to metric in understanding how well your marketing is succeeding at attracting and directing people to your website. Organic traffic – measuring your organic traffic lets you know how well you’re optimising your content for search engines. High organic traffic means that people are finding your website on their own thus reducing the need for paid traffic. Social traffic – measuring your social traffic lets you know which social networks are effective at sending traffic to your website. Direct traffic – this metric is good way to get a high-level idea of your brand equity. It shows how many people type in your URL to get your website. Referral traffic – referral traffic comes when someone clicks a link to your website from another website. Email traffic – knowing the percentage of sessions attributed to email marketing will help you determine if you’re spending too much or too little time on this channel. Paid traffic – it is critical to identifying which visitors are finding you through any online paid advertising you have set up. Once you know where your traffic is coming from you can start to understand if that traffic is generating any new contacts and leads. It’s important to closely measure how much new interest you’re generating for your company’s products and services. Lead measurement is one of marketing’s strongest ROI indicators. How many leads are you generating each month from your website? And by how much is this number growing over time? Use this metric to help you identify your most effective lead-producing channels. Are you generating more leads via organic search, social or email? If you know this you can improve your marketing campaigns and focus on your most valuable promotional sources. The sales team close the leads but the number of customers generated by digital marketing rather than offline methods is just as important. Track which marketing campaigns are yielding the most customer acquisitions. Repeat and iterate those campaigns that are helping to convert the most customers. Measuring at what rate visitors are converting into leads and from what channels can help to gain more insight into quick wins. Well-performing websites convert at over 2% with leads being generated across multiple channels. Be sure to track this metric each month to see where to make improvements. This metric helps you understand if you are generating sales-ready leads or not. If you can improve this metric, you can improve customer generation without needing additional leads. Finally and arguably most importantly you should measure new sales revenue generated. Again as manufacturing tends to have long lead times it’s good to set annual targets. How much revenue has your digital marketing brought the company this financial year? No company wants to spend money on activity that isn’t generating revenue. Ensure you can track revenue back to the original source. So now you know what to measure, make sure you set your goals. Goals help you to prove how effective you are, keep you focused, and push you to be better. But goals are totally useless if they’re not grounded in reality. That’s why it’s critical to set SMART goals. Attainable – Do work toward a goal that is challenging but possible. Don’t try to take over the world in one day. Realistic – Do be honest with yourself, because you know what you and your team are capable of. Don’t forget any major drawbacks you may have to overcome. Setting clear digital marketing goals is fundamental to success. Set up and track your ideal KPIs so that you can determine the impact of your digital marketing. You will then be more likely to consistently produce results that improve your bottom line and deliver a higher ROI. It’s never too early to start planning your goals for next quarter. 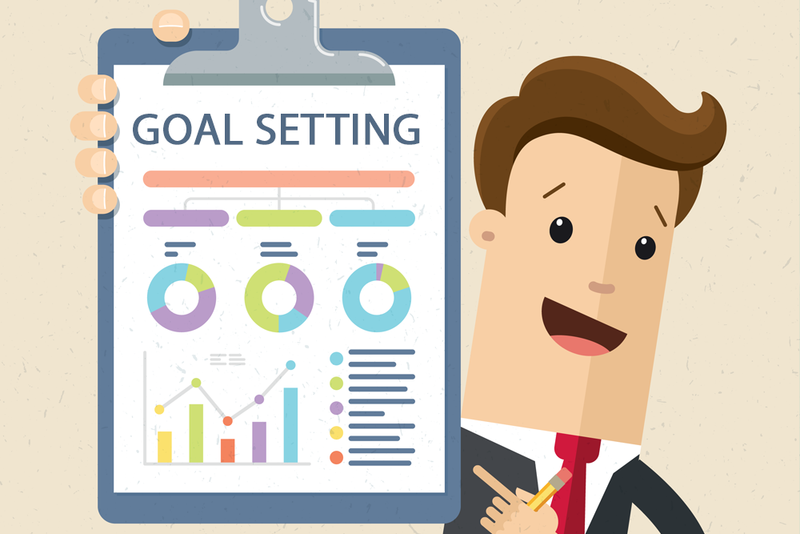 Download our SMART Goals template to help you get started or book an Inbound Marketing Assessment and we will help you reach those goals.